Upkeeping your garden is easier and faster when you have the right garden equipment. However, rather than buying every piece of garden machinery going, we suggest having some of the most important ones at your disposal in your garden shed. The right garden tools are essential for carrying out different jobs around the home like cutting the grass, trimming the hedges, trees and shrubs, getting rid of leaves and detritus etc. There are many tools available but here are 4 must-have pieces of garden equipment to have in your garden shed. Lawnmowers are one of the most useful pieces of garden equipment when it comes to taking care of your garden. They ensure your lawn is kept in top condition so you really should have one in your shed. They are very easy to use and maintain, there are many different makes, types and models of lawnmowers which offer great cutting performance and different features. When buying a lawnmower make sure you get one that suits your lawn size and preferable features. It is wise to invest in quality pruning equipment to keep your garden looking beautiful. There are various types and sizes of pruning tools depending on the type of job you are doing in your garden. 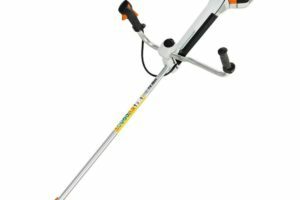 Whether you are pruning or trimming small branches, large branches, bushes or shrubs, there is a tool perfect for every situation. Pruning regularly will keep the parts of your garden in the desired shape and size. Without pruning on a regular basis, hedges, trees and plants will grow rapidly and leave your garden looking like a mess. A hand trowel is a small tool that is essential for doing different gardening tasks like digging, planting, smoothing or moving small amounts of materials. They are lightweight so they do not require a big physical effort to use and use for long periods of time. Hand trowels are perfect for many garden chores, operating in confined spaces and they are relatively low in cost. It is best to buy one with a sturdy connection between the blade and handle and one with a comfortable grip for your hands to avoid hand fatigue and give you optimal control. When the autumn season comes in, leaves start to fall and gather around your garden. When it comes to getting rid of all these materials falling in your backyard, driveway, or lawn raking and picking them manually can be a frustrating task. As well as that, you will be wasting so much time and energy. 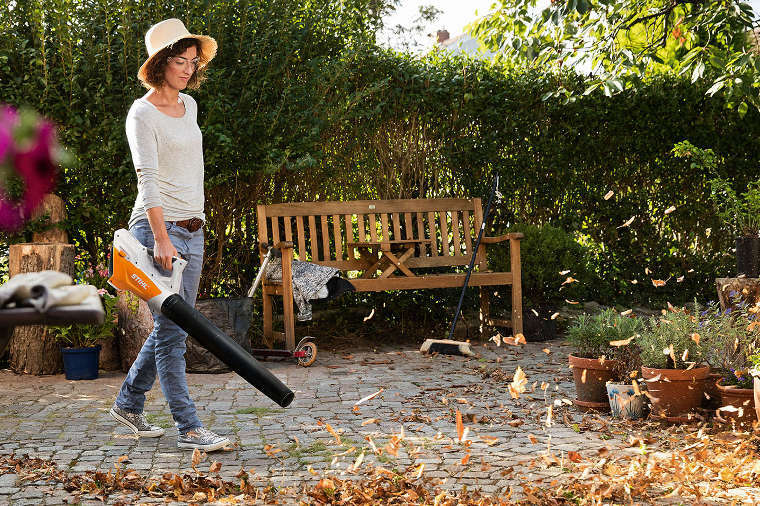 Garden blowers make leaf and detritus clearing an easy and time-saving task so they are must-have pieces of garden equipment. To see our full range of garden tools and machinery, visit us online today or visit us in store in Frankfield, Cork. Gardening is a wonderful way of beautifying your home. Health and safety should always be your priority when you are outside working with tools, plants, chemicals, insects and lots more harmful things. Gardening may seem safe but it can lead to injury or illness if completed without the appropriate care. This weeks blog will give you some tips to keep in mind to maintain the optimum safety when gardening. Below are 3 gardening safety tips to help keep you safe and healthy whilst gardening. By wearing proper gardening gloves you will protect your skin from coming into contact with any harmful irritants. The smallest of cuts can develop into a hand infection. They protect you from thorny objects, insect bites, blisters, fertilisers, pesticides, bacteria and any other skin irritants that live in the soil. Rubber gloves are essential when working with garden chemicals. Gloves also protect you from sharp garden tools harming you. With all gloves make sure to inspect them for tears or small holes before using them. Using garden tools instead of your hands will not only protect your hands but also make your job much easier. Garden tools drastically reduce your workload and put less strain on your body. There may be buried objects in the soil which can injure your hand or wrist while working. Use the appropriate tools instead of your hands like a large or small hand shovel. It is important to use tools for their intended purpose. Tools that feature handles which don’t fit your hand may cause blisters, calluses and muscle pain. When your hand is too big or small for the tool it may cause blisters, calluses and will put lots of stress on your hands which can lead to muscle pain and serious injury. Choose garden tools to suit you. Posture refers to the different body positions you are in whilst gardening. Bad posture can lead to muscle pain and serious injury. There are lots of things you can do to ensure this doesn’t happen to you. For example, kneeling instead of bending will result in less back strain, wearing knee pads will give you added comfort and put less strain on your kneecaps, when lifting objects make sure you engage your legs and not your back and hold objects close to your body when moving them. It is important to take breaks regularly to walk around and stretch because when your body stays in the same position for too long it can lead to serious muscle pain and worse serious injury. Visit us online today at dfg.ie to see our full range of garden machinery & tools and get what you need to keep your garden looking beautiful all year long. A beautiful and healthy garden sets off a home perfectly. Gardens are a great source of pride for homeowners. Maintaining a beautiful garden depends on having the right garden machinery, equipment and executing gardening tasks with precision and skill. There are lots of parts to a home garden, things like plants, grass and soil which all need care and maintenance to thrive. Here are 2 garden mai ntenance tips for homeowners to maintain a beautiful and healthy home garden. Creating healthy soil is essential for plants to grow, without it they will struggle. When roots are laying in healthy soil, your plants will be more vigorous and more productive. Healthy soil is rich in microbes, minerals and nutrients. Healthy soil is incredibly valuable and should be protected. To do this effectively you should make sure you mulch your soil as well as keeping feet from stepping on it as much as you can. Weed seeds will always appear on your soil, this can happen by a means of blowing in with the wind or they can be dropped by birds. To get rid of weeds you should avoid the use of herbicides as they pollute the soil and destroy the soils healthy microbes. Use mulch to suppress the weeds and be sure to make time to pull the weeds while they are still small. Keeping on top of all your plant’s health is also very important to maintaining a great looking garden. Pruning is very important to ensure a healthy plant, by removing specific branches or stems you benefit or eliminate problems from occurring in the plant. Getting rid of damaged, dead or diseased parts will help stop insect & decay organisms getting at the plant. You should feed your plants regularly with things like fertilizer and water help them to grow, promote healthy foliage, stimulate root systems and aid in flower and fruit formation. Another great way to care for your plants is with nutrient-rich, organic mulch like compost. You should side-dress your plants seasonally by adding a handful of compost around the base of the plant. Organic mulch retains moisture in the soil and breaks down improve the texture of the soil. There is something so rewarding about maintaining a beautiful looking garden. By following these 2 tips you will have your own healthy and attractive garden that you will be proud to show anyone. To see how our products can help you maintain your garden, call us on 021-496-5132 or visit us online today. A lawnmower is one of the most important gardening tools you can have in your home. Having a great quality lawn mower that performs well and suits your grass and garden size is essential. However, a lot of people face a big issue in deciding what lawnmower to get and what type of lawnmower to use. There are so many different brands of lawnmowers out there from Weibang to Viking to Toro to Gardencare as well as types of lawnmowers, models and features associated with them that it can be overwhelming for buyers and users. Here is a guide to give you more of an understanding of the different types of lawnmowers and questions to ask yourself that can help you make a great purchasing decision for your g arden and lawn. How big is your lawn? Do you want a model that is good for tidying up a small area of grass or do you want a powerful lawnmower to cut through long grass in a large area of grass? Where do you want to use your lawnmower? 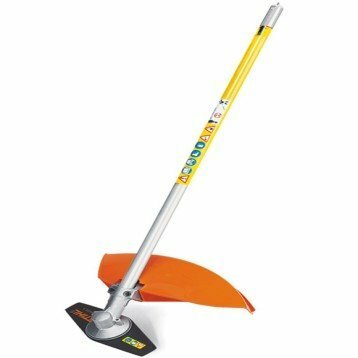 Do you want to use it to cut around plants and trees in your garden or do you want one to perform well on a slope or even a tough garden surface? How strong and tall are you? Some lawnmowers have adjustable height handles to suit the specific user and to be more comfortable to use in operation. Self-propelled mowers with key starts are easier to use than pull-starts or heavy models that have to be pushed around suiting a person’s strength levels. How well do you want your grass to be cut to? 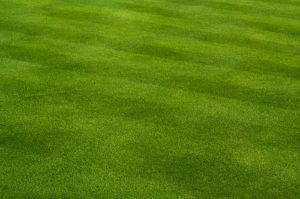 Does it have to be stripped down like a golf putting green or are you satisfied once your grass is some way short? There are a number of different functioning lawnmowers with different drive systems you can get. Each type of lawnmower does particular things well and has specific functions in relation to landscaping your garden. Here are three of the most popular lawn mowers available. Push lawnmowers are best suited to homeowners with small lawns. These mowers cut grass into fine pieces that remain on the lawn or can be used with a collection box. The rotary blade is powered by petrol, the user has to push the lawnmower around the lawn. Push mowers are at the lower end of the price range but provide a top class cut for your garden. Push lawn mowers are popular among budget-minded homeowners who have level gardens and do not intend to haul grass clippings. However, they have limited height adjustability, and sharpening the blades is difficult. Self-propelled lawnmowers push themselves so you don’t need put as much effort into pushing them as other lawnmowers. All you need to do with these types of lawnmowers is just steer them in the right direction. This makes mowing much easier. Most self-propelled models come with adjustable speeds meaning you can set it to a level that is comfortable for your walking pace. Mulch lawnmowers chop up the grass very finely and push the clippings back into the lawn as mulch. This mulch will add nutrients back into the lawn. Mulching lawn mowers are more expensive than other mowers but a great choice if you don’t have anywhere to dispose of grass clippings and don’t want the hassle of emptying the box every time once its full of grass clippings. 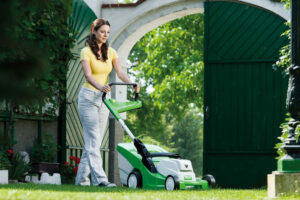 If you are shopping for a new lawnmower then make sure to do your research, know what you want your lawnmower to do for your garden by answering the questions outlined above. See all the different features that each type and model of lawnmower offers and which model you think will best suit your lawn. If you have any questions related to lawnmowers then call us on 021-496-5132 or visit us online today. BERG have been designing and producing trampolines for over 30 years. Inground trampolines are located in the ground meaning they are not built and assembled above the ground. Whichever inground trampoline BERG produces it always contains their main core values of quality and durability giving years of trampolining pleasure. There are many types of BERG trampolines like The BERG Talent, BERG Champion, BERG Elite+, BERG Favorit and BERG Eazyfit. You can get BERG Inground trampolines with and without a safety net. Inground Trampolines are much safer with a safety net around it. Their InGround trampolines are available in various diameters and prices. When these trampolines are placed down into the ground of your garden it is barely noticeable. It gives a tidy appearance because they are nicely concealed. The problem is how to fit and install it into the ground? 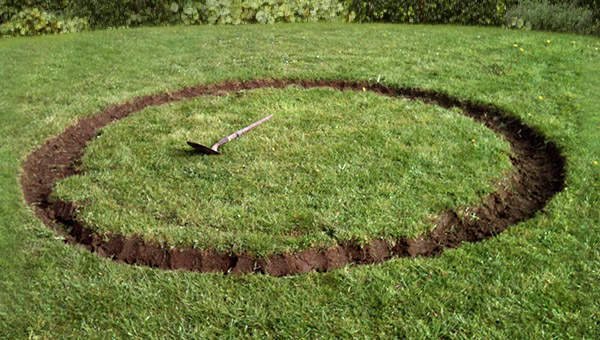 Before doing any digging you must know the exact measurements for the diameter of the trampoline, diameter hole and depth hole. Observe the sizes in the instructions provided with the trampoline. 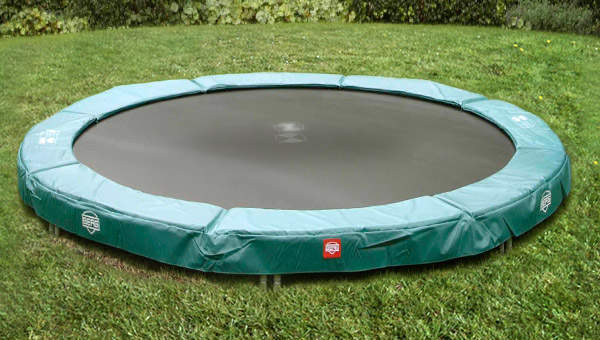 Spend some time brainstorming to come up with an ideal location for where you want to have your inground trampoline. Establishing a location that is not close to a hedge, fence, shed or any potentially dangerous object to ensure ultimate safety. It is said that a 2-metre minimum distance from any potentially harmful object is best. If you are happy with the location you have decided for your trampoline to be put and it meets the trampoline measurements then you can go ahead and start digging. Dig out the hole entirely in the shape of a bowl to the indicated depth of the inground trampoline model. 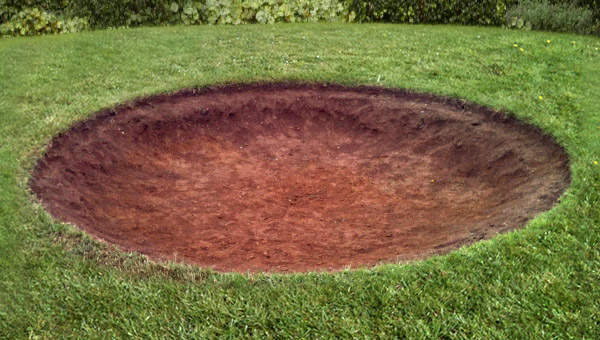 Once you have dug out the hole as described in the previous steps to the specific measurements, you can then place the trampoline on top of it. Follow the last steps of the instructions provided and you are ready to start bouncing. Everybody has a little bit or lots of space in their garden that could be put to better use. We are here to tell you that the benefits of maximising that space are endless. These benefits are not just for you but for your children especially who are the next generation. There are numerous things you can do with space in your garden or backyard to help keep them fit and healthy, you can fill that space with sports toys like a soccer goals/rebounder or a basketball hoop, a trampoline to bounce up and down to give you a feeling ecstasy and a work out to remember or maybe even a playhouse for a child to keep them entertained for hours. Regular physical activity is good for everyone but it’s particularly important for your kids. The first five years of their life are key for their growth and development. It’s during this time that they’ll develop the habits or skills that will follow them into adulthood. It’s very important and should be a focus for parents to provide kids with the toys, opportunities and experiences that positively influence their choices around active play. Improving your health through exercise, practising sports and providing your kids with healthy ways to have fun are all great way to develop and positively impact a child. The choice to fill that space in the garden is one of great significance to the child even though you may not think it at the time. Creating a sports star or a healthy active child will definitely make you a proud parent for the future. Whether it’s a hedge trimmer, chainsaw or blower, every STIHL tool is built with decades of experience in developing and using power tools for forestry and gardening. 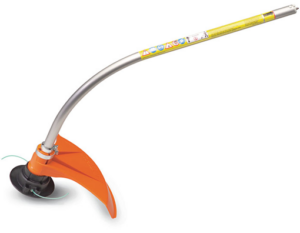 Our garden tools are perfectly suited to their particular applications. To help you manage challenges around your home and garden more easily, we would like to share our expert knowledge with you. In our “STIHL gardening tips” blog post series, we have brought useful tips and tricks together for you. In this article, we will tell you how to save electricity when working with your cordless power tool, how best to store your battery and what deep discharge is all about – and much more. Clean tools need less electricity: If all dirt has been removed from a tool and it is functioning well – e.g. .if the saw chain has been properly lubricated or the brushcutter’s cutting tools can turn freely – then less friction will occur. This means that it will take less energy to run the tool. That will reduce wear and tear and make the tool easier to work with, as well as ensuring that you won’t have to charge the battery as often as you otherwise would. Allow damp or wet batteries to dry: If your battery becomes wet or muddy while you are working with a tool, you can simply clean the battery and dry it. To do this, switch off the tool, take out the battery, and clean it with a damp towel. Then store the battery separately and let it dry. While it is drying, do not put objects into the battery’s openings, and do not connect the battery’s contact points to metal objects. If the battery’s inlets are dirty, clean them carefully with a soft brush. The same applies if your battery’s charger becomes dirty. Understand the charge display on your STIHL battery. The four LEDs on the battery show the remaining level of charge in the battery, but can also indicate if there is a fault in the tool or the battery. To see this display, simply press the button on the battery. The LEDs will light up in green for around five seconds before they indicate the remaining level of charge. If only one LED is flashing in green, this indicates that there is a low level of charge left in the battery. One red LED is lighting up: the battery is too hot or too cold. If the battery is too cold, you should warm it up slowly by taking it into the house, for example. Please do not put the battery on a heater. If the battery is too warm, you should let it cool down. The AL 300 and AL 500 chargers can also actively support in cooling down the battery, as they have a cooling system installed. Three red LEDs are lighting up: the tool (e.g. your brushcutter or hedge trimmer) is too warm. Before you continue with your work, you must let the tool cool down to operating temperature. Three red LEDs are flashing: there is a fault in the tool. Please bring the tool to a STIHL specialist dealer so that it can be checked. Four red LEDs are flashing: there is a fault in the battery. You should also go to your local specialist dealer in this case. The LED on the charger lights up in green for a second and in red for about a second: this display is perfectly normal. The charger is automatically performing a self-check after being plugged into the mains. The LED on the charger lights up in green: the battery is charging. The LED on the charger flashes red: there is a fault in the charger. Please have your charger checked by a STIHL specialist dealer. The LED on the charger does not light up: if the battery is fully charged, the charger will automatically switch off. You will find an overview of battery charging times on our website. Please note that the actual charging time may differ from the charging time mentioned on the website as it is influenced by many factors, e.g. by the temperature of the battery or the surrounding environment. Charging the battery correctly: The battery will be particularly protected during charging if the temperature of the battery pack is between 0°C and +40°C. A battery that is too cold or too warm, on the other hand, cannot be charged. If your battery is too warm after a long period of use, STIHL chargers with integrated battery cooling (e.g. the AL 300 and the AL 500) will help to achieve the optimum charging temperature.Another distinctive feature of lithium-ion batteries is that they charge quickly: this ensures that the battery quickly reaches a charge level of 80 percent and can get working again immediately. Short charging times are also possible: It is also possible to charge the battery over a very short period, such as a few minutes, without any problems. Charging the batteries for short periods like this has been proven to have no effect on the battery’s performance. This also means that the battery can be removed from the charger at any time – regardless of the charge level status shown on the display. So you can charge your batteries during short breaks from work without needing to worry. Don’t be afraid of deep discharge: Thanks to voltage monitoring of the individual cells in STIHL batteries, you do not have to worry about deep discharge, which can cause considerable damage. It is not possible to exhaust or overcharge the battery. Long-life batteries even with quick charging times: A quick battery charging time, like the times achieved by the STIHL AL 300 and AL 500, do not have a negative impact on lifespan. The active battery cooling will ensure that the battery is protected even during quick charging. The batteries can be charged several hundred times without any noticeable loss of energy. Storing the battery correctly: If you want to store the battery, you should remove it from the tool and set it aside separately. If you are storing the battery for a long period of time, we recommend keeping it at a charge level of two green LEDs, which corresponds to a 40–60 percent charge. The battery should be kept clean and dry and should be placed in packing material that is not electrically conductive (e.g. cardboard) to protect it from becoming damp or wet and from being subjected to direct sunlight. Ideally, it should be stored in a closed room – which also ensures that it is kept out of reach of children. The battery can be stored at temperatures between -10°C and +50°C. Finding the right battery for your STIHL tool: If you are interested in a STIHL cordless power tool, we will always recommend which battery will be the best match for your needs and your cordless tool. Selecting a battery and a tool depends on what type of application it will be used for. It does not always make sense to pick the battery with the highest performance. Depending on the intended purpose, it may be more important to work with less weight and therefore a lighter battery with less capacity. 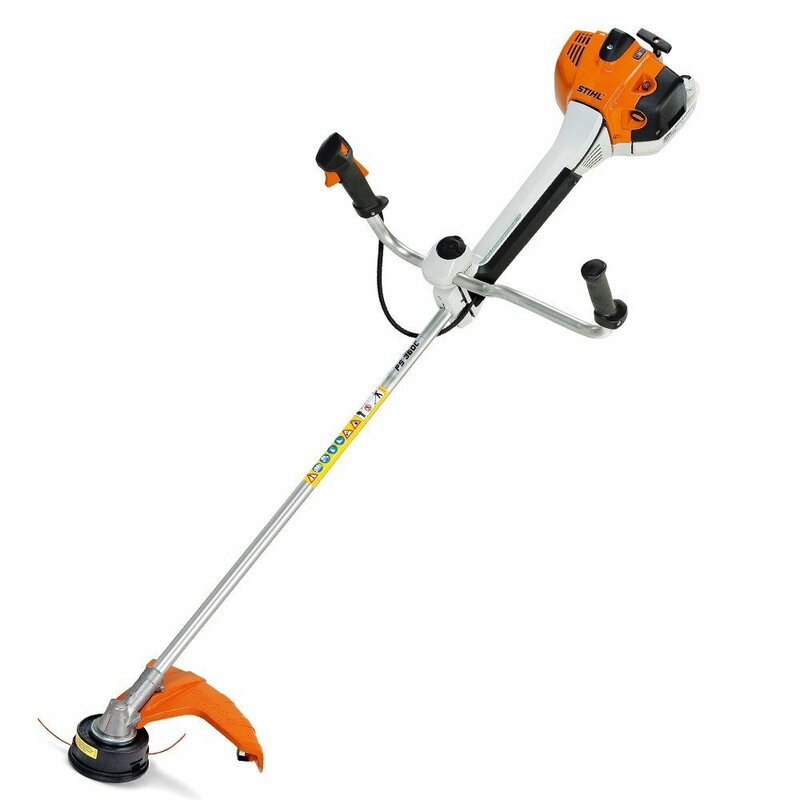 When it comes to hedge trimmers, for example, less weight makes the tool much easier to use. On the other hand, tools that need a lot of energy, like blowers or chainsaws, should generally be fitted with powerful batteries.Here is an example to provide a clear explanation: when it comes to batteries for the STIHL COMPACT cordless power system, you can do twice as much work with the AK 20 as you can with the AK 10. However, the AK 10, which weighs just 0.8 kg, is considerably lighter than the AK 20, which weighs 1.2 kg. When you make a decision, you can think about whether you will have the chance to recharge the battery during short work breaks, or whether you should choose a long battery life. In many cases, having two lightweight batteries is also an appealing option. Get off to a great start in the garden with STIHL batteries. In general, before you start working with your cordless power tool, you should always read the instructions, including the safety instructions. Whether you are cutting hedges, mowing the lawn, trimming the grass, getting rid of leaves, cleaning paths or cutting firewood – we have the right cordless power tool for every job in your home and garden. The quiet and zero-emission garden tools from STIHL make working in the garden a breeze. BATTERY POWER. MADE BY STIHL. Discover a new level of calm when it comes to garden work. 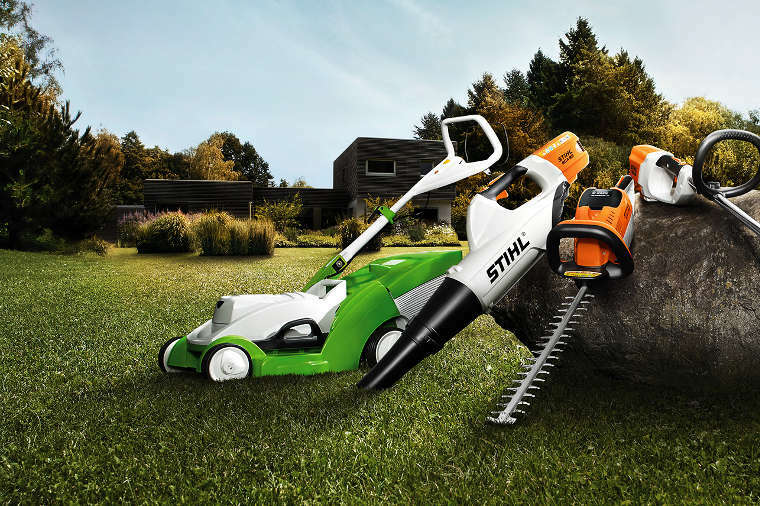 Light, quiet and powerful – the garden tools from the STIHL COMPACT cordless power system. A major plus: the battery can be used in all COMPACT cordless power system tools, so you will be up to any challenge at home or in the garden. Pruning trees and shrubs around your garden is a great way to keep your garden healthy and looking great. Depending on the plant you are pruning you will need a hedge trimmers, a pruning saw and a hand trimmer (for small shrubs). Many people wonder if there is any point in pruning trees and shrubs, here are 4 reasons why you should start pruning today. You can significantly improve the life of the plant if you take proper care of it by removing any damaged or dead branches. Some of the reasons why a branch may need to be removed are if they are infested with insects, they are damaged from a storm, they have been damaged by an animal, they have been infected with disease or they have been broken or damaged by any physical trauma. To stimulate healthy growth you should also prune any branches that are rubbing together and any branch stubs. When pruning trees it is important to avoid topping them. The removal of large branches results in stubs which can ruin the natural shape of plant, promote weak branch structure development and suckering and it can also lead to several health problems. Dead branches, especially in larger trees, can be a huge safety risk in your garden. A gust of wind at the wrong time to a damaged limb can result in serious injuries. If you have any hazardous trees in your garden you should contact a professional and have them taken down. If you have branches overhanging your property or anywhere that people will be, then you should prune back any weak or narrow angled branches to avoid any possible damage to property or injury to people. For security purposes you should also prune back any trees or shrubs that might obscure the entrance to your home. Maintenance pruning should be carried out annually, this even more important for fruit bearing trees. This helps to open the canopy, prevent crowding. Annual maintenance also helps to improve sunlight penetration and circulation while also helping to prevent disease. Proper maintenance also reduces the amount of branch drop which most trees are susceptible to when competition for light is high. Beautiful trees and shrubs can add a huge amount of character to your garden. 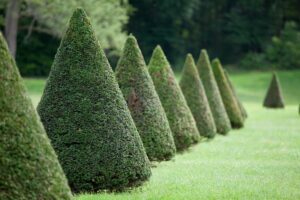 Unless there is a specific reason then you should avoid pruning shrubs into tight geometric patterns as it can adversely affect the plant. A plant’s natural form is usually what ends up looking the best while also making it as healthy and strong as possible. If you prune a plant properly then it should be difficult for anyone to even spot that it has been pruned. Use pruning to control the size of the plant, its shape, keep evergreen shrubs dense and well proportioned. Removing unsightly branches, waterspouts, strange fruiting structures and suckers can make your trees and shrubs look fantastic. Pruning trees and shrubs in your garden is great for plant health, it makes your garden a safer place to be, it helps to reduce crowding and increase fruit bearing potential and it also makes your garden look its absolute best. However, if you are a homeowner you should know your limits and avoid pruning near power lines or anywhere where you have to climb. Hiring a professional landscaper or arborist will help you to safely have trees and shrubs pruned properly. If you would like to start pruning your trees and shrubs today then you can order your tools online or by visiting us in-store. You can get directions to us on our contact us page. Ride on lawn mowers can be a great addition to your garden care machinery and make your life a whole lot easier. However they are more expensive than their walk behind counterparts, so you should know what you are getting before you make a purchase. Here are 4 advantages of ride on lawn mowers. One of the key advantages of ride on lawn mowers over stand behind mowers is the speed at which you can mow the lawn. It doesn’t matter whether the stand behind lawn mower is a self propelled or a push model, you simply won’t be able to get the job done as fast. On large gardens this can potentially save you hours each week. Ride on mowers are a great way of making cutting the grass easier and they also make the task far less monotonous. Many gardens aren’t completely flat so, even with self propelled, stand behind mowers you will be working far harder than if you were sitting up on your tractor mower and driving around the garden. This is advantage is especially prevalent on the rare sunny days in Ireland. If your health isn’t in tip top condition, ride on lawn mowers can allow you to continue maintaining your own garden and avoid having to pay for costly landscaping services to do the job for you. If you have any long standing injuries, the work you have to do when using a stand behind mower can sometimes aggravate them and cause pain. The lowered physical exertion of using a ride on mower means that you can keep taking care of your garden while avoiding any unnecessary pain. Key start ignitions are rare on stand behind mowers, but you would be hard pushed to find a tractor mower without one. A key start ignition replaces the traditional pull cord that is needed to start the engine. It takes some of the heavy lifting so to speak out of firing up the lawnmower. This is especially useful for people that have an injury or don’t have a particularly strong upper body. Ride on lawn mowers save you time, make mowing the lawn easier, allow you to keep cutting your own grass when your health isn’t at it’s best or you have an injury and come equipped with key start ignitions to take the effort out of starting up the engine. If you would like to view our selection of ride on lawn mowers visit us online or get directions and visit us in store today. 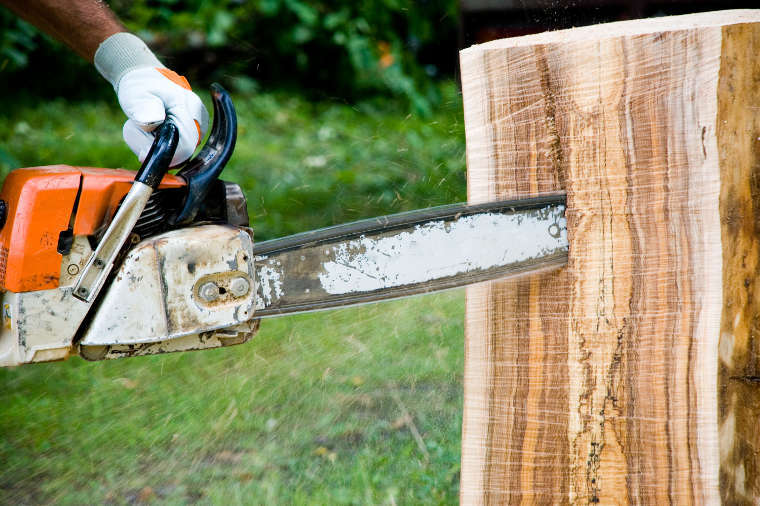 When using a chainsaw, it doesn’t matter if it is for personal or professional use. You need to follow certain safety procedures in order to avoid serious injury to yourself or others. Here are 6 chainsaw safety tips. Chainsaw PPE clothing is essential when using a chainsaw. It can mean the difference between life and death. Minimising the risk with chainsaw PPE gloves, trousers, boots, ear protection, goggles and hard hats is the key to staying safe while using the saw. Knowing your limits will help to keep you safe. If you are new to using a chainsaw don’t go for the large tree right away. Practice with your chainsaw by cutting up logs for firewood and attempt to fell small trees before moving on to the larger ones. Similarly if your project is too large or difficult for your skill set, hire a professional. There are plenty of great arborists around Ireland that would be happy to help you. Don’t just read the manual you get with your saw, study it. You should familiarise yourself with the chainsaw even if you have used chainsaws before, there can be huge differences from one chainsaw to the next. You should never use your chainsaw in isolation. Keep a person ideally with a well stocked medical kit nearby just in case something goes wrong. Chainsaw accidents can happen in the blink of an eye so having someone close by can save your life. Climbing a tree to cut a branch is something that should be left to experienced professionals. Unfortunately you’re not Tarzan, get out of the tree before it has a bad ending. The same can be said about cutting when you are on a ladder, avoid it at all costs. If you need to cut branches that are high up, think about investing in a pole saw. Sometimes when you are working you will have to reach for something with one hand. Never do this when in control of a chainsaw. If you ever have to take a hand off of the chainsaw make sure you turn it off first. Chainsaw safety should always be at the forefront of your mind when firing up the engine. They are powerful tools and while useful, they can also be extremely dangerous in the wrong hands. If you are unsure about proper safety procedures, you can always take a chainsaw safety course. If you would like to get yourself a new chainsaw then you can visit us online or in-store, get directions to us on our contact us page. Strimmers are extremely versatile and can handle a variety of tasks around your garden, providing you select and install the right attachment for the job. If you’re the type of person who likes a tool that can complete more than one task, brushcutters are for you. Brushcutters can be used to clear hard to reach grass around obstacles, heavy and light vegetation and reeds. They are fantastic for putting the finishing touches on your garden. Clearing grass around obstacles that are hard to reach for your lawnmower is a task best left for your brushcutter. For this task you should select a SuperCut, AutoCut or TrimCut attachment. These attachments use plastic strings rather than solid blades. An attachment with a solid plastic or metal blade would be likely to cause damage to the obstacles you are cutting around and the blade itself. If you wish to clear some light vegetation with your brushcutter then you can select the SuperCut or AutoCut attachments or you can use a PolyCut mowing head which consists of 3 pivoting thermoplastic blades. For clearing heavier vegetation, it’s advised that you don’t attempt to use a plastic string blade as it won’t be very effective. Instead a Grass Blade should be used. Grass blades are reversible cutting blades with two or four cutting edges, they are ideal for tough grass and vegetation. To install these attachments you must first ensure that the approved guard for the attachment is already in place, then you must push the locking pin into the hole in the gearbox and turn the shaft until the locking pin engages and the shaft is locked in position. For the grass cutting blade, you must then mount the cutting blade on the thrust plate. The collar diameter of the thrust plate and the blade hole diameter must match and the collar must protrude into the blade hole of the cutting attachment. Now you fit the thrust washer followed by the ryder plate onto the shaft. Tighten the self locking nut firmly in an anti-clockwise motion, then remove the shaft locking tool and the attachment is installed. Now for the other attachments. Once the shaft has been locked in position by the locking pin, turn the mowing head anti-clockwise until it stops at the shaft. Tighten it in place and remove the locking tool. For all of the strimming accessories you need for your Irish garden, visit us in store in Frankfield or view our range of garden machinery online today. 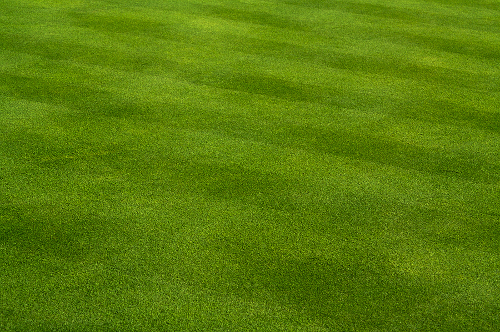 Mowing your grass can actually negatively impact it if carried out incorrectly. Some of the side effects include temporary stoppage of root growth, reduction in grass food recycling and storage, the cut leaves can allow harmful organisms to enter the plant and cause disease, reduced water absorption by the roots and a temporary increase in water loss from the cut ends. However if you follow these 4 tips for cutting grass, then you will be able to minimise the negative impact and keep your garden looking like you hired a professional landscaper. 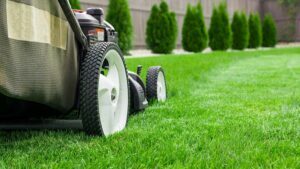 Cutting the grass too short is one of the most common lawn mowing errors. When your grass is cut too short it can result in fewer roots, the grass needing to be cut more frequently, needing more water and fertilizers and being less resistant to insects and disease. It’s tempting to cut the grass incredibly short to get the “putting green” look, but in the long term it does more harm than good. Most types of grasses do best when they are cut between two and four inches in length. 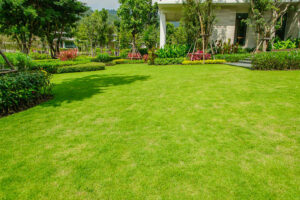 Cutting the grass frequently is another key tip for keeping your lawn looking the best that it possibly can. You should follow the ⅓ rule when cutting your grass, the ⅓ rule basically means that you should never cut more than ⅓ of the length of your grass at any one time. So for example if the grass height you are cutting to is two inches, then you should be cutting it when it is 3 inches. Grass clippings don’t take long to decompose and they are a huge source of nutrients for your lawn. When you remove grass clippings, you remove around 25% of the Nitrogen that your grass needs from your lawn. If your grass clippings spill out onto the street or areas surrounding your garden, use a leaf blower to send them back onto your garden. Using a high quality lawnmower with sharp blades is essential to give your garden a manicured look. Dull blades on your lawnmower means that grass isn’t cleanly cut, instead the grass is left torn, shredded and bruised. This results in your grass turning brown and then white as well as making it much more prone to disease. When you are going out to cut your grass try to cut it between two and four inches, determine how often you should be mowing it by using the ⅓ rule, allow the clippings to fall to give nutrients back to the lawn and make sure that you are using a high quality lawnmower with sharp blades. If you adhere to these 4 tips for cutting grass then your garden will look its absolute best for the whole summer. If you have any questions about lawnmower maintenance or purchasing a new lawnmower don’t hesitate to call us on 021-496-5132 or visit us in store today. There are very few pieces of gardening equipment that have to put up with the stress that a lawnmower does. That’s why taking proper care of it is essential if you want it to keep working as it should and to reach its maximum lifespan. There are several things you can do to make sure you get the most out of your lawnmower before inevitably having to replace it, here are 5 lawnmower care tips. We have all been there, the second you get a new toy you throw the manual to one side never to be looked at again. When it comes to lawnmowers however, it really is useful. The manual give you the tips on maintaining the lawnmower as the manufacturer intended. They want their products to perform optimally so that you purchase them again in the future, so generally they give you some great advice. The undercarriage of your lawnmower is on the front lines, it can easily become caked in grass. This can hinder the performance of the mower and lead to a clogged discharge chute. Disconnect the spark plug for safety purposes and scrub it with a wire brush, spray off the remaining debris with a hose, then reconnect your spark plug and you’re good to go. Many people aren’t aware of the fact that petrol goes bad. Old petrol is actually one of the leading causes of lawnmowers not starting after the winter. At the end of the mowing season you should empty and dispose of whatever fuel is left in the mower, then start again with fresh fuel in the spring. The blades of a lawnmower have to deal with a lot of obstacles, every time you hit a rock or a fallen branch you are blunting your blades. When your lawnmower blades lose their sharpness your mower begins to rip and tear the grass up instead of giving it a smooth cut. It’s not advised to attempt this yourself, take your lawnmower into us at Douglas Forest & Garden and we will have them sharpened for you in no time. You should get your lawnmower serviced every year, either at the beginning or the end of mowing season. The mower will have the petrol drained, spark plugs replaced, air filter replaced and diagnostics will be carried out to make sure your mower is going to perform at it’s best. So for proper lawnmower care, remember to read the manual, keep the undercarriage free from debris and caking, drain the old fuel, keep your blades sharp and have your mower regularly service. Most of these tips are things that you can handle yourself, however for blade sharpening and lawnmower trust Douglas Forest & Garden. Bring in your lawnmower and we’ll make sure it’s in top working order for for the season. Get directions to our showroom and visit us today.